Bleckley County High School may be small in size and number, but we make up for that in a huge effort and striving for success. Bleckley County High School has been working hard to break last year’s certification success numbers and we are well on our way to achieve this. BCHS students achieved 167 Certifications last year and we currently have achieved 142 certifications so far this year. 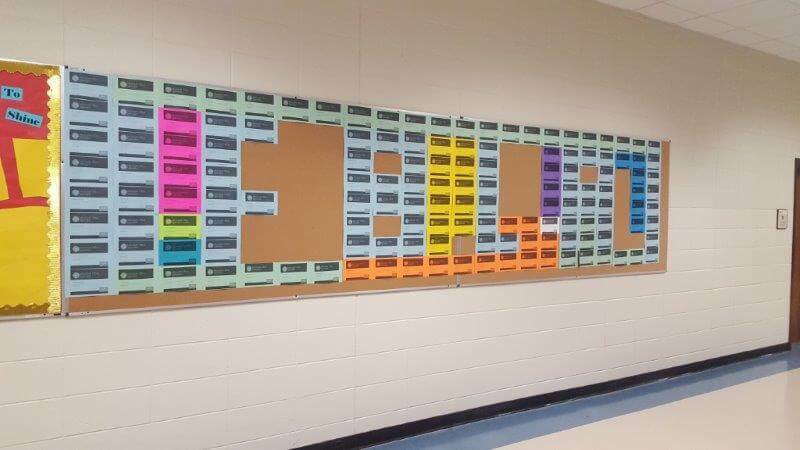 Sixty-eight percent of our BCHS FBLA members have achieved at least one certification with some members achieving as many as 9 certifications. We are super proud of our MOS certifying FBLA members! Continue to work hard to achieve that goal! 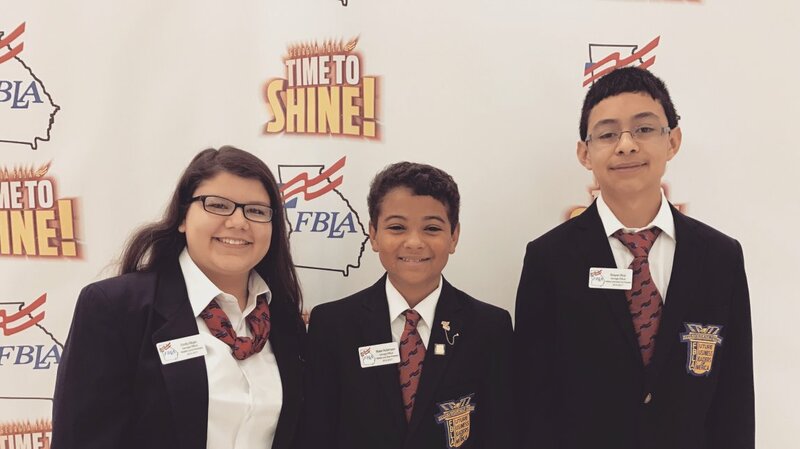 WWMS FBLA attended the State Leadership Conference in Perry, Georgia on February 28, 2017. 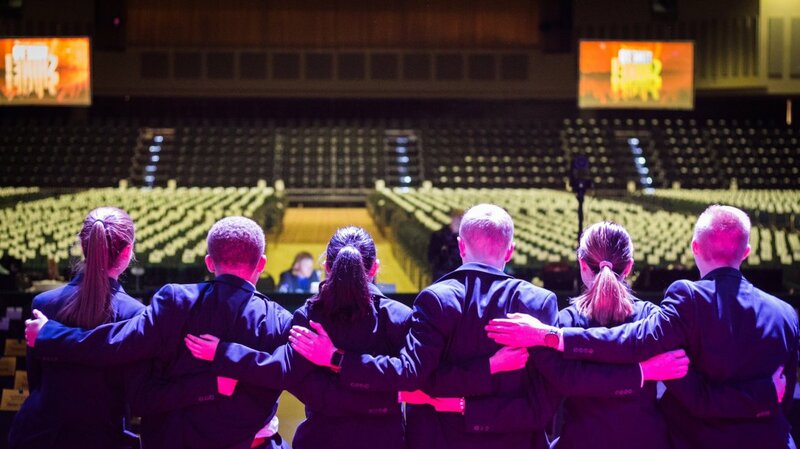 Students worked hard and tested in the middle of February at the state level in various competitive events. 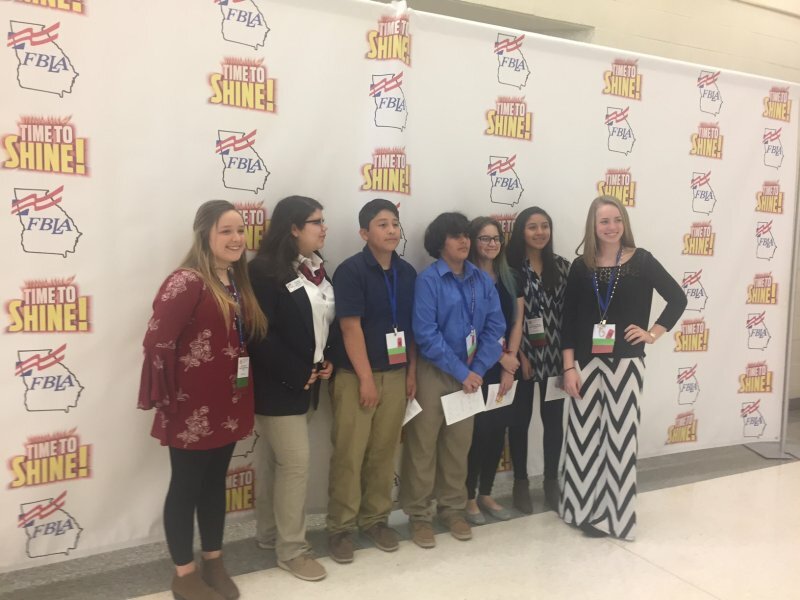 The students that competed and traveled to the conference include Emily Denard, Emily E., Jayden G., Madison P., Eduardo S., Yesica V., and Jazlyn V. In the chapter of the year competition, WWMS won silver falling in the top silver chapters in the state. Emily E. was recognized and received a trophy for her service this year as the Middle Level State secretary. Ms. Jenkins, chapter advisor, would like to thank members for their hard work this year and the community for their continued support. Students pictured: (Left to right) Madison P., Emily E., Eduardo S., Jayden G., Jazlyn V., Yesica V., and Emily D.
Melissa Barker, Bleckley County High School adviser, was named 2017 FBLA Region 5 Adviser of the Year on February 20, 2017. Mrs. Barker has worked with FBLA at Bleckley County High School since Fall of 2015. 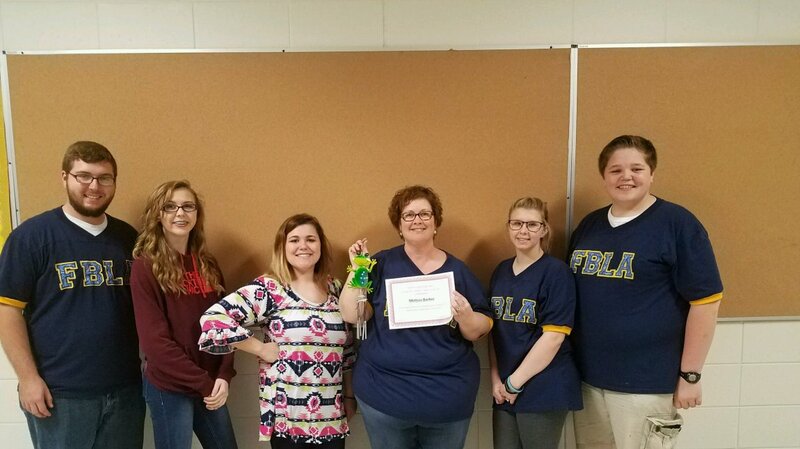 BCHS FBLA members and officer team surprised Mrs. Barker with a celebration on Wednesday, March 1, 2017. The celebration included a cake, a card filled with a sentiment from officers and members, as well as a frog wind chime to add to Mrs. Barker’s frog decor collection. 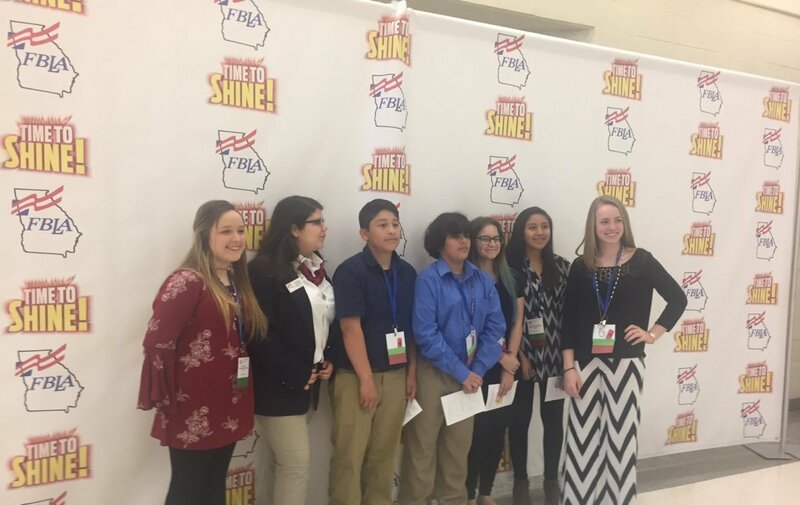 Congratulations to Mrs. Barker and BCHS FBLA on a job well done!